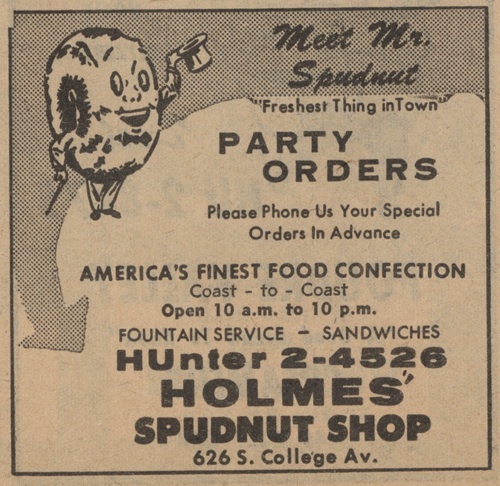 From the Archive: Spudnuts, anyone? How many of you remember spudnuts? 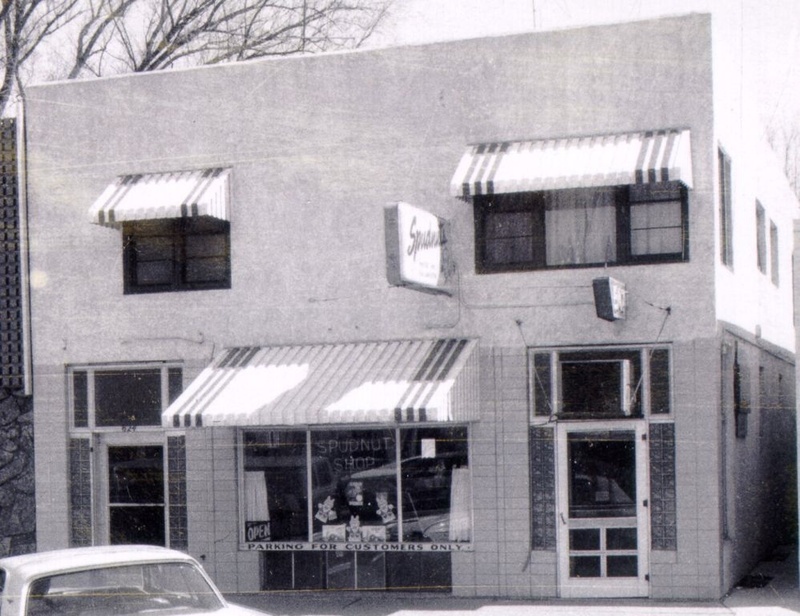 A nationwide chain that spanned from the 1940s to the 1980s, Spudnut shops featured warm, glazed donuts made from potato flour. 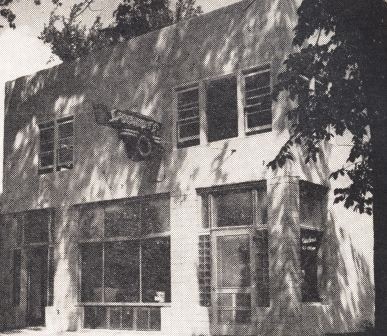 Fort Collins hosted one of these iconic shops at 626 South College Avenue in the early 1950s into the mid 1907s, with this snappy slogan: “America’s Finest Food Confection. See ‘em made, buy ‘em hot, buy ‘em by the sack.” And also: “Light, fluffy donuts for your next party.” Now that’s a party I would like to have been invited to!